Zlatan Ibrahimovic is now a Milan player and will sign a four-year contract, the Italian club said in a statement on Saturday. Adriano Galliani's efforts of staying in Barcelona to negotiate in what has been a week of progressive talks have paid off and he comes back to Milan with the former Inter player in the bag. Calcio Debate: Is Barcelona’s Zlatan Ibrahimovic Really What Milan Need To Chase Trophies Once More? Mission accomplished then for Silvio Berlusconi who last month said if there was a chance to land a megastar he "would do so". "AC Milan would like to communicate they have signed Zlatan Ibrahimovic from Barcelona on a loan deal with the right to an option to buy him after the 2010/2011 season for the sum of €24m. "He will have a medical on Monday and then sign his contract." Adriano Galliani also confirmed the figures of the deal and how Milan have obtained the player. He told the press in Barcelona: "Yes we have defined the acquisition on loan with right to buy at €24m. The player will sign his contract on Monday. "That is the figure we will pay over three years of €8m. I want to thank all of Milan and Silvio Berlusconi who made a big effort for this operation." 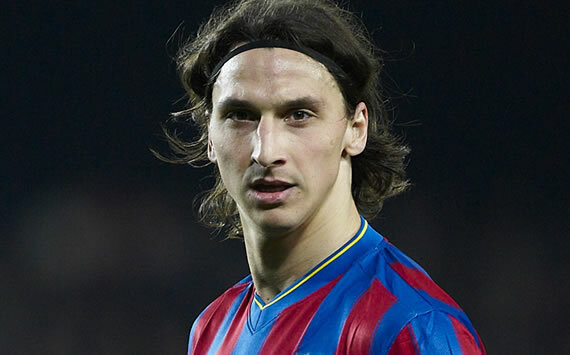 Ibrahimovic added: "Milan are one of the strongest clubs in the world. We have a fantastic attack." "This move gives me more adrenaline. I have moved here to win the Champions League with Milan. I want to win the double." And, of course, a week of ups and downs wouldn't be complete without a comment from Mino Raiola. Goal.com is proud to be a premier partner of Digg.com and as such is pleased to offer exclusive invitations to our users to become a participant in the alpha launch of the new Digg.com. Click here for your access code for the Digg alpha site. Invitations are limited and are on a fist come first serve basis, so act now!